You might remember a time when keywords seemed to be the end-all, be-all of content. Writers and editors would twist themselves into knots trying to get the right keyword in a blog post the right number of times. These days, the focus is more on the reader and less on keyword stuffing. BUT, content marketing keywords still matter. Here’s how and why you can use them to take your content marketing to the next level. What Are Content Marketing Keywords? In the simplest of terms, content marketing keywords are words or phrases that describe what a piece of content is about (as Moz puts it). A few years ago, keywords tended to be short phrases. For instance, keywords such as “haircut Philadelphia” or “cat hair” were an easy and obvious pick for marketers in those niches. But search has evolved, both in terms of how people search and how search engines process and sort information. You can divide content marketing keywords into two major categories. The shorter, broader keyword phrases are typically known as head keywords. Longer keywords that are often full sentences are called long-tail keywords. Usually, head keywords are the most competitive, since they are so broad and highly searched. Long-tail keywords are often less competitive. They might not be searched for as much as related head keywords. But, they are more likely to bring your content to someone who’s looking for it. Why Should You Care About Content Marketing Keywords? Why are content marketing keywords important? For a few reasons. Researching what keywords are trending or popular gives you an idea of what people are searching. And, you get a sense of what they are hoping to learn from the content they find. Remember that content needs to useful. And, for it to appeal to people, it needs to solve a problem. If you know that people are looking for “ways to get rid of cat hair,” then you create a blog post outlining five ways to do just that. You’ll be helping to meet their needs. Plus, your blog post is likely to rank for that long-tail keyword. Along with meeting your reader’s needs, using targeted keywords in content marketing can also help you figure out what topics to cover with your content. When you know what keywords are trending, or what have a high search volume but not much in the way of results, you’ll be able to shape your content calendar and schedule around those keywords. Understanding what keywords are and why they matter are just the first two steps when using keywords in your content marketing. The next steps involve figuring out what keywords to use, and how to find those keywords. Researching keywords involves a mix of good old-fashioned brainstorming and using tools that can tell you actual search numbers and volumes for specific keywords. Once you have an initial list of possible keywords to use, you can test the waters and see what keywords are trending or popular. Several tools exist to help you make heads and tails of different keywords. For example, Google Trends shows you what search topics are popular right now. If you have an AdWords account, you can use Google’s Keyword Planner tool to learn more about search volume for specific phrases, as well as to generate new keyword phrases. Google also has another tool, Correlate, which lets you look at searches that correspond to real-world events. Keywords still have a place in content marketing and can help guide the subjects and topics of your content. But, remember it’s essential not to put keywords first these days. When creating content, you want to make sure that it’s user-friendly. Don’t get so weighed down trying to “fit” keywords into your content that you end up with something that’s barely readable, or not useful for a reader. Instead, use keywords as a guide. One or two mentions of the keyword phrase in your content should be enough to let search engines — and your readers — know what it’s about. Want to learn the ins and outs of SEO Content Marketing? 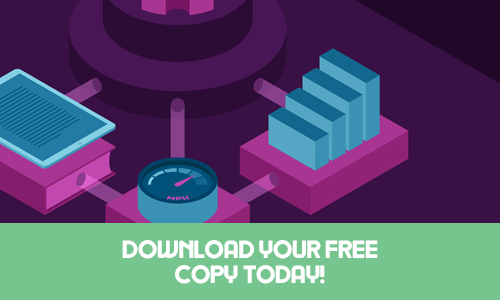 Download your free copy of the SEO Content Creation Guide today!